If you’re looking for a fitness holiday with a view, come take a run around our beautiful nature reserve. 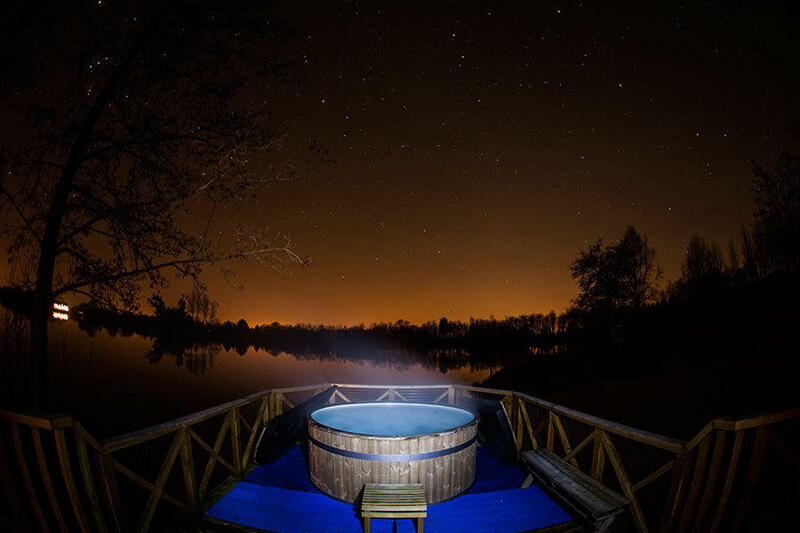 Here at Log House Holidays we’ve found the perfect little spot for you, with a luxurious eco-friendly log cabin made from authentic Finnish wood, a lakeside view, complete with a water’s edge hot tub and fire pit. Within our 130 acre nature reserve, you can enjoy swimming, cycling, hiking, paddle boarding, running, kayaking and more. Whether you’re booking a fitness UK holiday for two or you’re bringing the whole family, we have 8 beautiful cabins with our largest sleeping up to 11 people. If you’re looking to kick start your fitness or training for a big triathlon event, a Log House Holiday is a perfect place to get into shape so book with us today. Feeling great after a week of getting into shape around the lake. All the more easy knowing the hot tub was waiting at the end of every run! Here at Log House Holidays, our private lake has been carefully landscaped for over 33 years to provide you with the perfect place to run, walk, cycle, swim or just simply relax and take in the views. With our fitness holidays, you can avoid endless hours in the gym; get back to nature instead and enjoy the incredible wildlife which made our reserve a Special Site of Scientific Interest (SSSI) back in 1991. The 2.5 mile track which follows the edge of the lake and through wooded areas is a great circuit to put into your routine and in the summer months, the lake is a lovely place to enjoy some wild open water swimming (a good full body workout). Bring your bike, or rent one of ours and get some miles under your saddle as you explore the surrounding Cotswold villages. Or if it’s an upper body workout you need, why not rent one of our kayaks and start the day with a few laps of the water? We can also help you arrange a personal trainer or a day at a nearby gym – perfect if you are on a group cabin holiday with us. Our open plan luxury cabins are the perfect retreat after a hard day of exercise. They are authentically Scandinavian, are designed with bespoke furnishings, and they’re eco-friendlytoo. We’ve built our site to be sustainable but that doesn’t mean we compromise on luxury or style; each of our secluded log cabins feature fully equipped kitchens, opulent bathrooms with power showers and roll top baths, a large lakeside veranda with open pit BBQ and a lake view hot tub to wind down in. For the ultimate in fitness holiday luxury, you can even enjoy a 5 star cabin spa break with our organic treatment packages. To enjoy some downtime, you can go fishing on holiday, unwind on your cabins private beach, have a game of rounders or football on our 4 acre playing field, or head out on the lake in your own private rowing boat and find the perfect picnic spot. There are lots of romantic things to do if you are looking for the perfect place to enjoy a UK honeymoon break. Inside the cabin, there’s a flat screen TV with DVD player, a mini library full of great reads, a games cupboard and free WiFi to keep you connected. To cook up a healthy meal for the whole family, you will find a choice of health food shops in Cirencester and there’s also The Organic Farm Shop nearby (who also deliver). For more ideas on what to do in the local area, be sure to check out our Ultimate Guide to the Cotswolds.